EDGEFIELD, S.C. (AP) — Some students in South Carolina will get a day off of school because of a country music concert, but will have to make up the time later. Luke Bryan is performing Friday, Oct. 5 at a farm in North Augusta, about 75 miles (121 kilometers) southwest of Columbia. Gabby Barrett of Munhall is going to Hollywood. Pittsburgh's own rising singing sensation Barrett, 18, currently a contestant on "American Idol," was featured auditioning (at age 17) in front of judges Katy Perry, Luke Bryan and Lionel Ritchie in Nashville during last night's episode of "American Idol," resulting in a coveted golden ticket for Barrett — sending her to Hollywood Week in California — the next stage of competition for contestants. In a March 19 Facebook post, local singing sensation Gabby Barrett teased fans with the question, "Do you think I got that golden ticket to Hollywood?" Fans will get the answer on the March 25 episode of ABC's "American Idol." Barrett posted on Facebook in February that she was a contestant on the current season of the revived singing competition. HUNTINGTON - Country music singer and songwriter Cole Swindell has been in the music business for quite a while, writing hits for other artists and making a dent on the country radio charts on his own. A protege of Luke Bryan, Swindell has now set out on his first-ever headlining tour as a musician, with support from Chris Janson and Lauren Alaina. He brings his show to the Big Sandy Superstore Arena in Huntington at 7:30 p.m. Thursday, March 22. Pittsburgh's Heinz Field is one of 13 additional venues added to country star Luke Bryan's "What Makes You Country Tour" launching next month. The concert is set for June 30, with tickets on sale 10 a.m. March 2. Sam Hunt joins the tour as the special guest on all stadium shows along with Jon Pardi. Four-time Entertainer of the Year and American Idol judge Luke Bryan releases a new music video today for “Most People Are Good,” directed by Wes Edwards. LOS ANGELES — The “American Idol” hopefuls singing for their survival on the stage of a Hollywood nightclub next door to the Museum of Death were, as usual, a diverse bunch — gender-wise, looks-wise and otherwise. But most had one thing in common: They did not know what to do with their hands while receiving compliments from Lionel Richie. Four-time Entertainer of the Year, current 2018 ACM Entertainer of the Year nominee and American Idol judge Luke Bryan is preparing for the show’s March 11th premiere on ABC with several television appearances. Runaway June’s second single, “Wild West,” is busy making a place for itself in country’s top 40, just as the trio scores their first Academy of Country Music nomination. Naomi Cooke, Hannah Mulholland and Jennifer Wayne are in the running for New Vocal Duo or Group at this year’s 53rd annual awards. Their competition includes High Valley, LANCO, Midland and LoCash. Reba McEntire will reveal the nominees for the 53rd ACM Awards Thursday, March 1, live on CBS This Morning. 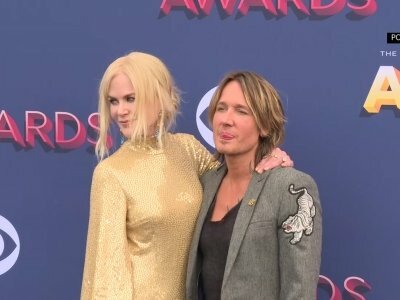 The 14-time ACM winner will unveil this year’s contenders during the show’s 8 a.m. hour, and she’ll go live on Facebook prior to that to announce the ACM Song of the Year nods. Entertainment Tonight’s Nancy O’Dell will finish announcing the remainder of the nominees, starting at 7:50 a.m. CT at ETonline.com. What's a girl gotta do to catch a female country artist singing her heart out on RodeoHouston's revolving stage? This year, the Houston Livestock Show and Rodeo's 20-night concert smorgasbord features 13 acts you could classify as country, which is awesome, given the western spirit of the whole affair. But you know what's not awesome? Of those 14 nights (Garth Brooks plays twice), only one features a female solo artist: Kelsea Ballerini on Saturday. Country music is king at RodeoHouston. Or at least we like to think so. But when it comes to attendance numbers, crowds are singing a different tune. In a different language. The four most-attended performances in the show's history are courtesy of Go Tejano Day -- banda and norteño acts, to be exact. In fact, 11 of the top 20 slots are held by non-country acts. Cole Swindell’s hit tune, “You Should Be Here,” was originally written as a tribute to his father, who died unexpectedly while he was out on tour in 2013. Two years into their co-hosting stint at the ACM Awards, Luke Bryan and Dierks Bentley are being replaced. Bentley participated in a question and answer session in Nashville on Monday during Country Radio Seminar where he broke the news. Billboard reports that a photo of Bentley and Bryan from the ACMs flashed on the screen and Bentley said, "That's over ... We got fired. Is that not common knowledge?" Bentley's manager has also confirmed the news. The ACM has not yet announced their replacement. Bentley replaced Bryan's previous co-host, Blake Shelton, in 2016. Shelton co-hosted with Bryan since 2013. The 2018 ACM Awards is set to take place April 15 in Las Vegas. Country music star Luke Bryan will be teaming with Sam Hunt when he comes to Pittsburgh this summer. The duo will perform at Heinz Field on June 30 in the What Makes You Country XL Tour —part of Bryan's What Makes You Country Tour— where Bryan has booked 15 summer shows at various football and baseball stadiums around the country. The XL version of the tour starts May 31 in Toronto and includes performances at historic ballparks such as Fenway Park, Wrigley Field and Dodger Stadium. Luke Bryan is heading to Ford Field on his "What Makes You Country" tour, marking his third headlining concert at the Detroit Lions' home. Bryan will play Ford Field on Oct. 26, promoters announced Tuesday, with opening acts Sam Hunt, Jon Pardi and Carly Pearce. No ticket information has been announced. If Luke Bryan has faced criticism from some country purists that his anthems aren't true to the music form's roots, he's got an answer — a polite one, mind you — for them. The opening title song on his 15-track CD "What Makes You Country" offers a welcoming, big tent view of the genre the includes cowboys in Texas, hunters in Georgia and folks hauling bails or fishing or "covered in peanut dust." 2018 will be the year Cole Swindell officially strikes out on his own as a major headliner. After wrapping his fourth annual Down Home trek at the end of January, Cole will launch his Reason to Drink Tour February 15 with Chris Janson and Lauren Alaina opening the shows. Cole can't wait to show off what’s he’s learned from some of the biggest names in country music.